Indian Institute of Management Amritsar is proud to announce the successful completion of the final placement process for the maiden batch – PGP01. 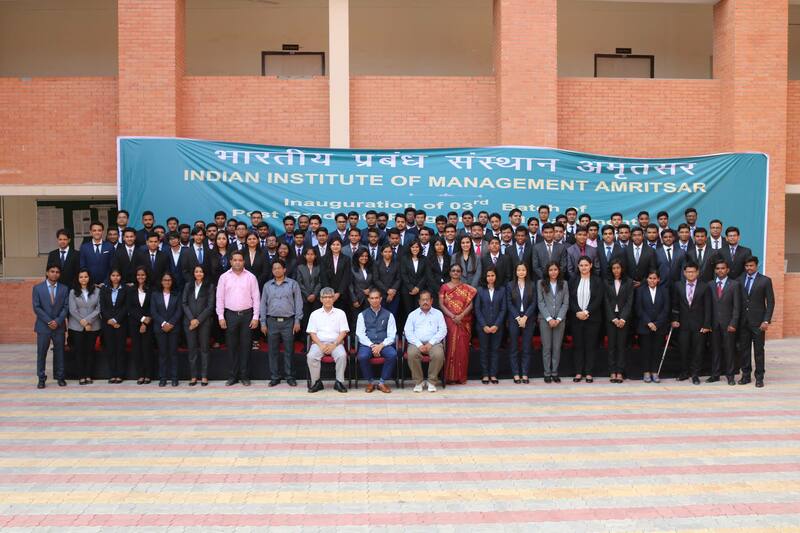 The Final Placements season of the pioneering batch of IIM Amritsar saw a phenomenal response from the industry with over 53 companies participating in the entire process. A wide gamut of roles in domains like Finance, Consulting, Sales and Marketing, Operations, Analytics, IT, Business Development and General Management were offered. A total of 50 offers were rolled out to a batch of 44 students with the highest offer being 17 LPA and the average of the offers being 10.26 LPA. Few of the prominent recruiters participating in the process were ICICI Lombard, HFCL, Pidilite, Dell International, EY, KPMG, Motilal Oswal, GroupM, Emami Agrotech, Arka etc. While the strong edifice of this institution would never have been setup without the robust and unflinching support of IIM Kozhikode and its Alumni, IIM Amritsar is proud to have setup a placement process that is strong and sustainable for the coming years. Under the guidance of our mentor director Prof. Kulbhushan Balooni and our nodal professor Prof. A. K. Swain, the entire placement season (Summer and Finals) was conducted at IIM Amritsar’s transit campus.